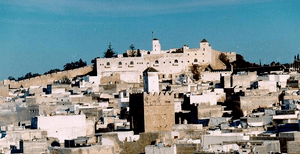 Safi lies on Morocco’s central Atlantic coast and has been an important port since Roman times. After independence Safi’s importance as a port city continued to grow. In 1964 the Moroccan government constructed new facilities for the processing of phosphate rock into fertilizer and expanded its export capacity. Fish canning is another major industry. Safi is also Morocco’s most famous ceramic center, featuring an ancient potter’s quarter and artisans of international reputation.